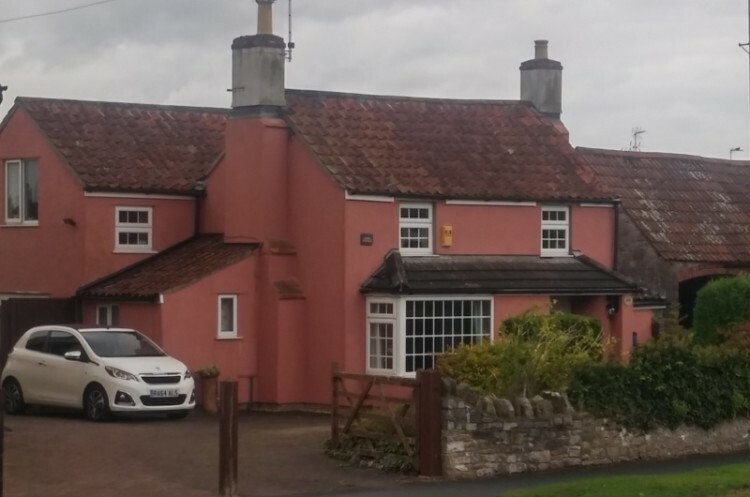 The above photograph shows Laurel Cottage in 2016. We know from electoral registers and an OS Map from about 1960 that the house was previously known as South View. 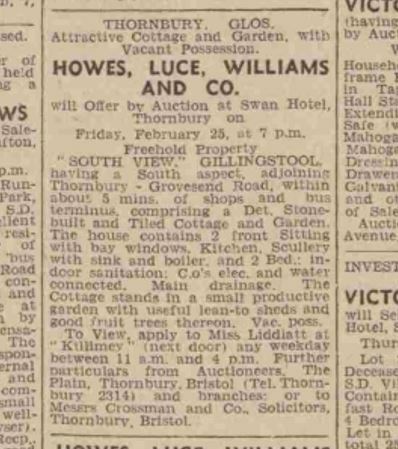 In a sale notice for an auction on 5th February 1949 (when the property was still a basic two up and two down cottage) the property was called ‘South View’. It is also possible that was called ‘Rose Cottage’ as far back as 1844. However for most of the time the records relating to the house or the families occupying it give no name. We haven’t seen the deeds of the property. There was a cottage on the land at the time of the 1840 Tithe Survey. The cottage appears on the map accompanying the Survey and was given the Plot number 520. It was described as a Cottage and Garden at Crossways, owned by William Hendy and occupied by James Roberts. As can be seen on the Tithe Map shown above the land on which the cottage is a lot larger than the present garden attached to Laurel Cottage. At the time of the time map the land covered 39 perches. Two more houses, now called Endrick Cottage and Colborne Cottage have since been built on the land. Endrick Cottage was built by 1881 and Colborne Cottage in 2006 in part of the garden of ‘Laurel Cottage’. In the extract of the 1881 OS Map shown below, the property is that shown by the number 2480. It is clear that there are now two properties on the land, a larger building (with a different alignment) has replaced the cottage which was shown on the 1840 map and a new cottage has been on the other end of the garden. We are fortunate to have a copy of a sales notice for an auction held on 14th May 1881 which refers to two properties. The first lot was for the one now called Endrick Cottage. This cottage and garden was occupied by William Liddiatt and was about 20 perches. The other lot was the one now called Laurel Cottage which was then a cottage occupied by Robert Perks. This was described as a ‘convenient cottage containing two small rooms and a back kitchen on the Ground Floor and two bedrooms over, with pigstye and productive garden containing altogether by estimation about 20 perches’. This confirms that the original plot of 39 perches had been split in half. 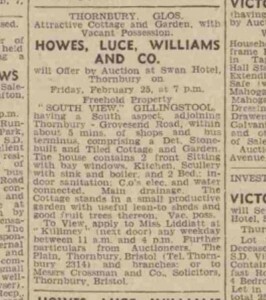 The sales notice on the right was for an auction of the property held on 25th February 1949. It shows that the property was then called ‘South View’. It was still just two rooms downstairs, plus kitchen and two bedrooms upstairs. The property was at that time owned by Mrs Mary Bell. We note that the property was vacant and anyone interested in viewing the property was instructed to contact Miss Liddiatt who lived next door at Killiney Cottage.